A plea questioning the validity of certain provisions of the pre-independence era Parsi Marriage and Divorce Act today led the Supreme Court to seek a response from the government. 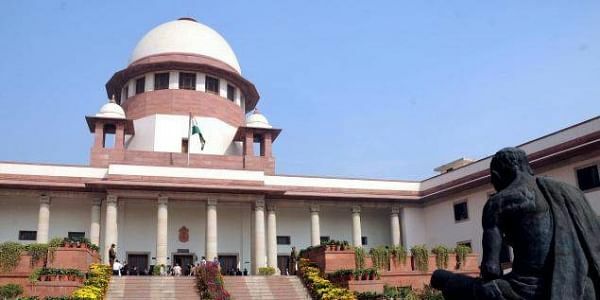 NEW DELHI: A plea questioning the validity of certain provisions of the pre-independence era Parsi Marriage and Divorce Act today led the Supreme Court to seek a response from the government. A bench headed by Justice Kurian Joseph asked the Centre to file a reply on the petition challenging the provisions of the 1936 Act claiming that it was akin to a 'jury system' in divorce matters. The petitioner has challenged the provisions on the ground that they were violative of Articles 14 (equality before law) and 21 (right to life and personal liberty) of the Constitution. "It is pertinent to note that the impugned provision of the said Act is archaic which pre-dates the country's independence. More importantly, it pre-dates the abolition of the jury system in our criminal jurisprudence in the 1960's. "Even after the amendment to the procedure codes, this system of delegates and a jury has been retained only for matters filed under the said Act," the plea has said. The petitioner has said that jury system was abolished in India and it cannot be retained for only one community. "The abolition of the jury system was deemed as a positive step in the history of Indian judiciary as the jury in most cases was not in a position to weigh the facts in light of proper legal complicacies and is likely to be swayed by popular and painted notions and as a mature democracy we stand for free and fair judgement," the plea has claimed. The counsel representing the petitioner had earlier told the bench that this matter has to be considered by the apex court and referred to its constitution bench judgement. The top court, while hearing the plea on November 24, had asked the petitioner to serve a copy of the petition to the Additional Solicitor General saying it wanted to have the view of the government in the matter.